A year ago we visited Ethiopia to present the first batch of Dream Bikes to vulnerable girls there. Now one year on, they are thriving at school and in their communities too! Dublin April 28th, 2017: Brian Mac Neill (ChildFund Ireland), Asaminew Kassa & Martha Alemayehu (ChildFund Ethiopia). There has been so much positive change in the intervening period. We wanted to share just what an important difference it can make when people intervene positively in the lives of impoverished people in the developing world. A little generosity can go a long long way. The ripple effect of your good will can be profound and can sustain meaningful change for children and their families well into the future. 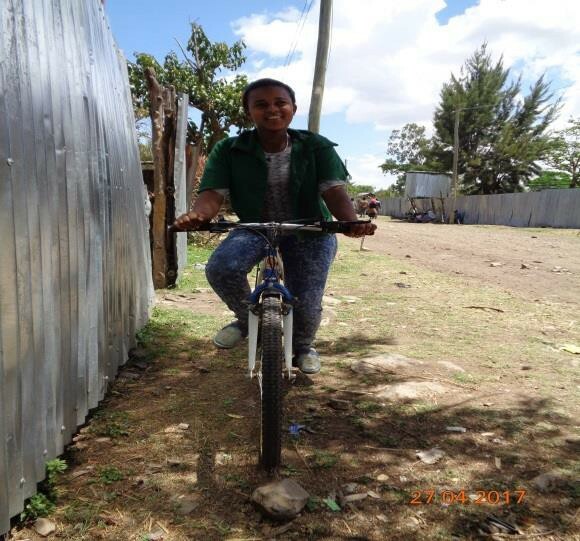 Asaminew and Martha from our Ethiopia office have provided this update on children who have been directly, positively, impacted by the gift of a Dream Bike since we visited there to hand over bikes last April. The 32 bicycles, donated from ChildFund Ireland back in June 2016, were given out to 32 girl students enrolled under four Local Partners of ChildFund Ethiopia; 12 Girls under Siraro LP, 5 under Belaya LP, 14 under Sodo Buee and 1 under Tesfa Berhan LP. This generous support has since made a huge contribution towards the successful attendance at school by the supported girls. 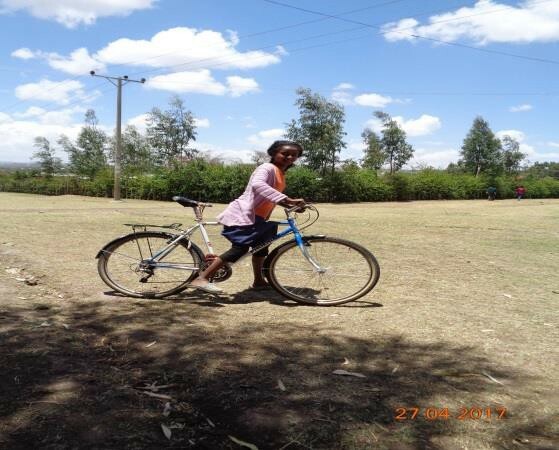 The provision of bicycles, to the girls has made the exhausting journeys between their houses and schools much easier to manage. Hitherto they had to undertake these weary journeys on foot. Equally important, having a bike to shorten the travel time to and from school has enabled them to have ample time for after-school study and to support their families with chores. Before the intervention of Dream Bike in their lives it was difficult for the girls to attend catch-up classes (extra classes to support children who have missed time at school), and to visit libraries due the long distances involved. Child safety and good child protection strategies are a vitally important aspect of ChildFunds work. Children who have to travel long distances between the safety of home and the safety of school are, by definition exposed to lengthy periods without adult supervision. The provision of bicycles has considerably reduced this worrying child protection threat. The safety of girls has been substantially improved by shorter journeys and the capacity to undertake journeys in the safety of daylight. This makes them less likely to be victims of sexual abuse executed by perpetrators that pick late hours to attack vulnerable students. The girls can now reach home safely before sun down and this is hugely important. Thanks to the bikes the girls are now able to stay late in school participate in tutorial programs, attend extra classes and visit libraries, all of which will help ensure they get the best possible education they can get. The bicycles have also helped the girls to support their families in running errands and engaging in important household chores. The Dream Bike girl students have shown improvements in their academic performance and successfully transferred to the next grades. Furthermore, the supported students have been participating in some volunteer activities in their villages and motivated to participate in extra curriculum activities such as joining girls clubs and others. 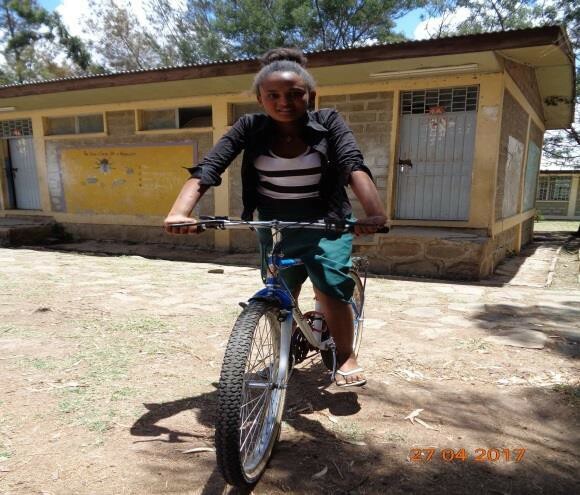 In general the bicycle support has motivated as well as enabled the girls to consistently attend education and perform well. It has given them a belief that a good education is an achievable and manageable goal for themselves and their families. This renewed belief has helped ensure timely attendance, improved grade completion, and reduced school dropouts, always a major concern in cases where education is consistently interrupted. “I have become more motivated to attend my classes and was able to improve my academic performance by studying hard and regularly attending classes and I achieved best scores in the entire final exams”. Most of the beneficiary students have shown improved performance in their academic performance since they received bikes and successfully transferred from grade to grade with good results. The supported girl students are very much hopeful to successfully accomplish their education and have extended their gratitude for the support they received.